Writing comes easier when you have something to say. What appears to be a meaningless use of words may be a use of words to express meaningless thoughts. People don’t buy products, they buy benefits. To get clarity you must also manage time and fear. 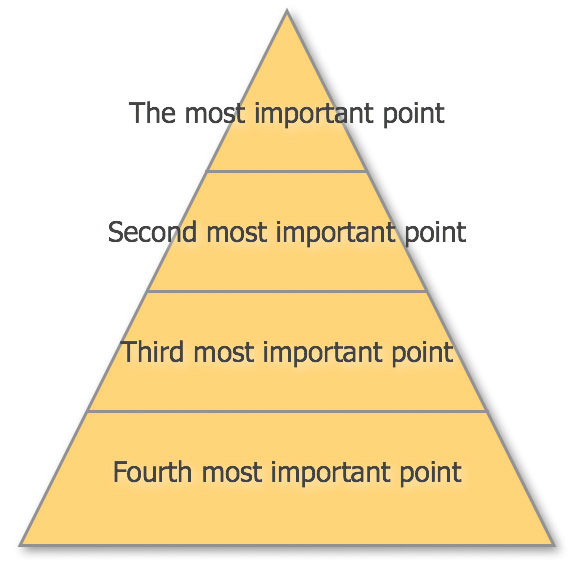 Hierarchy of tasks that the author and the supervisor have to master (pyramid): At the bottom are the least complex tasks (rules are well established), on the top are the most complex tasks (difficult to teach and master). 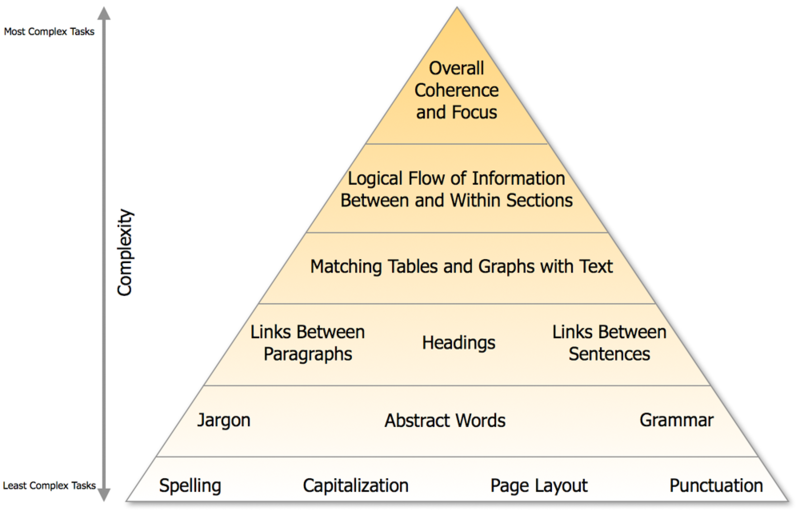 There has to be a benefit for the reader – therefore the top-down approach should be chosen. What do the results mean in theory? What do the results mean in practice? What is the key benefit for the readers? The author should write answers for each chapter and for the document as a whole. The supervisor should identify mismatches between the text and the answers and give feedback. Difficulties may be that the questions could not be applied to every section, that the same answer is given to two different questions, that the author could answer what the work means in theory but not in practice. The great danger for the author and supervisor is to being able to read between the lines and to assume that others will be able to do likewise. Marketing concept: “People don’t buy products, they buy benefits” – the author has to make the key benefit clear for the readers and market them. 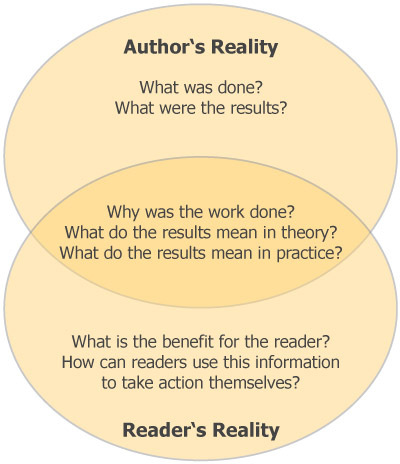 The figure shows the realities of the author and the reader and the relationships between the questions. You should be able to find the key benefit reflected clearly in the title, abstract, introduction, and discussion. Repeat things whenever an author thinks a reader may need to be reminded. The journalists’ motivations comes from knowing that putting the main point at the end means – it will rarely get read (reader never reaches the end, get bored, sub-editor cuts off some parts etc.). 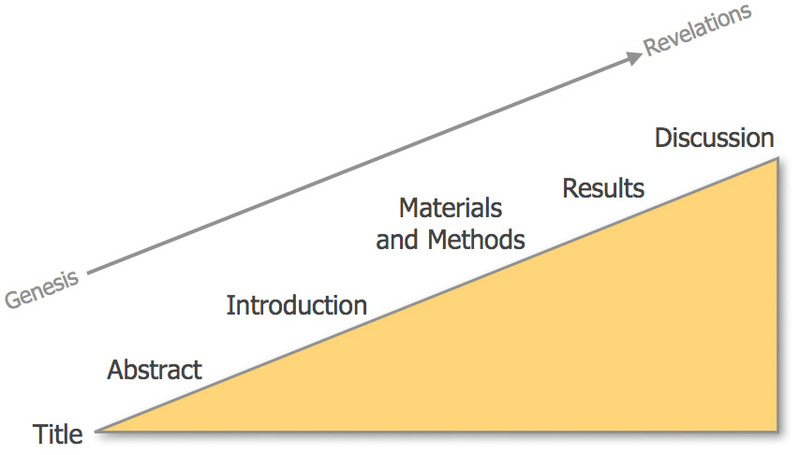 Writing is an integral part of the research – not to be done when the research is finished. Set a submission date and identify steps that need to be done. Detailed analysis is better to overcome the difficulties in oversimplifying the task and underestimating the time required. Keep deadlines – student and supervisor (problem: student often has trouble in getting the writing done, supervisor has trouble in finding the time to read and fully digest what is written). Writing is an emotional experience – losing sight of this fact is one serious error to be made as a supervisor. Lack of motivation of researchers: worrying about whether the work is good enough and whether there is enough of it to get the degree. Intellectual Snob: Writers believe that they are so unusually learned and/or intelligent that only a small elite could be capable of appreciating their writings. Encourage the use of the first person: not using the words like I or we create an impression that the words are written by some unseen observer/by a third party, the author often is scared to accept responsibility for his words. It is neither necessary nor desirable to wait for total clarity before starting to write. Real learning comes from confronting what we don’t know. Documents take shape as they are written. Manage the physical survival and keep copies. Writing is not a colour-by-numbers process, it is a creative one. Understanding the ‘Big Picture’.